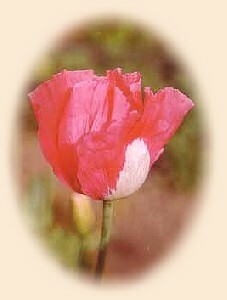 Fly Angler's OnLine "Poets Creek - In Flanders Fields #126"
A young soldier watched him write it. Cyril Allinson, a twenty-two year old sergeant-major, was delivering mail that day when he spotted McCrae. The major looked up as Allinson approached, then went on writing while the sergeant-major stood there quietly. "His face was very tired but calm as he wrote," Allinson recalled. "He looked around from time to time, his eyes straying to Helmer's grave." Credit: From Arlington National Cemetery's website.